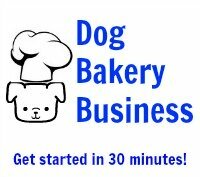 I would like to start up a dog bakery business overseas and I would like to know about making dog treats' shelf life longer. From what I have read, it seems that I could add natural preservatives sold under the name of citric acid. Are they safe? Where can I get them in Canada? And also, when I use these preservatives, how long will the shelf life be? Dog treats can benefit from 2 types of natural preservatives. First, to prevent mold (from moisture), you should use a mold inhibitor. A natural one is ascorbic acid, sometimes also referred to as vitamin c or citric acid. Second, to prevent fats (oils and butters) from going rancid you can use an antioxidant including natural rosemary oil or mixed tocopherols. You must follow the directions on the item you purchase as concentrations are all different. Your shelf life will be extended but it is impossible to say how long until you experiment. The climate and environment, as well as the ingredients and baking method all play into the equation. These items are very difficult to find. In fact, the only place we know that specializes in dog bakery supplies is K9Cakery.com. Shipping to Canada is available. You can purchase preservatives on ebay and Amazon. Dog Treat Icing Expert: Yes, you can purchase preservatives from various locations. 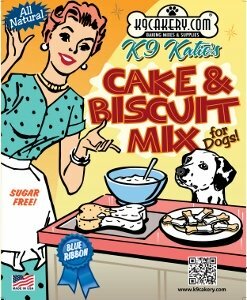 K9Cakery.com is a one-stop shop for dog baking supplies and you can save money with a larger order for various items over purchasing just one.